Intek Instruments, one of the foremost Distributor, Supplier, Dealer, Trader of Solid State Relay (SSR). We deals in various brands, like, GEFRAN Italy, CARLO GAVAZZI, and UNISON. We are engaged in providing our esteemed clients with a wide range of Solid State Relay. The solid state relay provided by us is manufactured using quality approved components and pioneering technology for ensuring its high durability in compliance with defined quality standards. Our offered solid state relay is well tested on various quality parameters to assure its long service life. 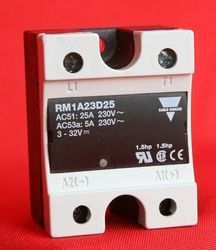 We provide this solid state relay to the clients at industry leading prices. Option alarm output for interrupted load. With the assistance of our team of professionals, we are engaged in providing an assorted range of Gefran Solid State Relays. Our offered solid state relays are manufactured by our ingenious team of professionals using the finest quality components and cutting-edge technology at par with market quality norms and policies. These solid state relays are checked on numerous quality measures for assuring complete flawlessness. 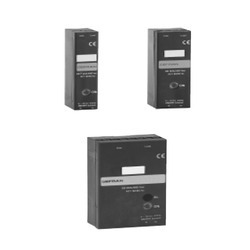 We offer these solid state relays in different specifications as per the exact requirements of clients. 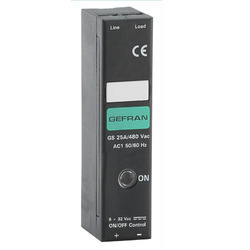 We hold expertise in offering our clients with a wide gamut of precisely manufactured Gefran Solid State Relay. For manufacturing the offered solid state relay in tandem with industry quality standards, our team of skilled professionals make use of the best quality components and high-end technology. This solid state relay is made available in various sizes at market leading prices within the promised time span.